Cook 1 cup frozen grated coconut (which is like freshly grated coconut) with equal quantity of milk till almost dry. Add sugar and ground green cardamom according to taste. Cook till mix thickens and leaves side of pan. 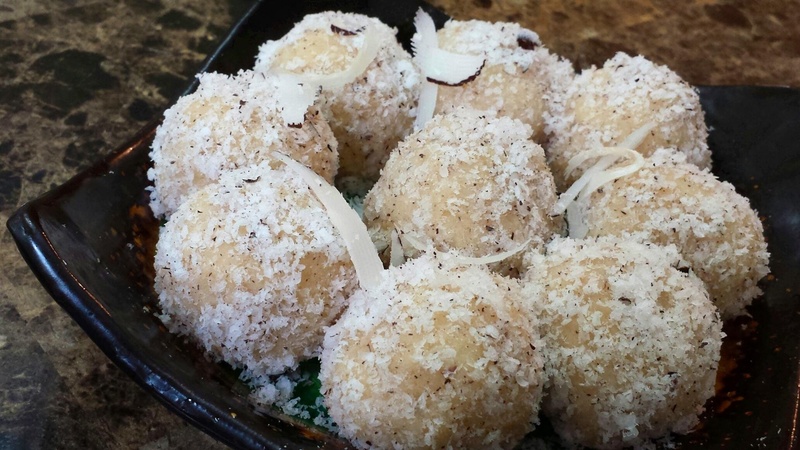 Shape into laddus, roll in desiccated coconut, garnish with coconut flakes…ready! can I use grated coconut? I have used fresh grated coconut. Using dry grated coconut will have a slightly different taste, but yes it can be used too.